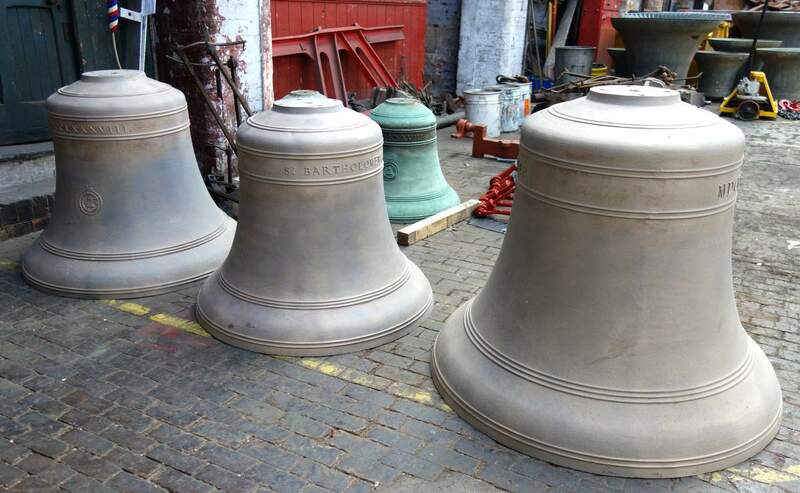 This cathedral houses a Taylor chime of eight (Tenor 28 cwts) cast at Loughborough in 1888. 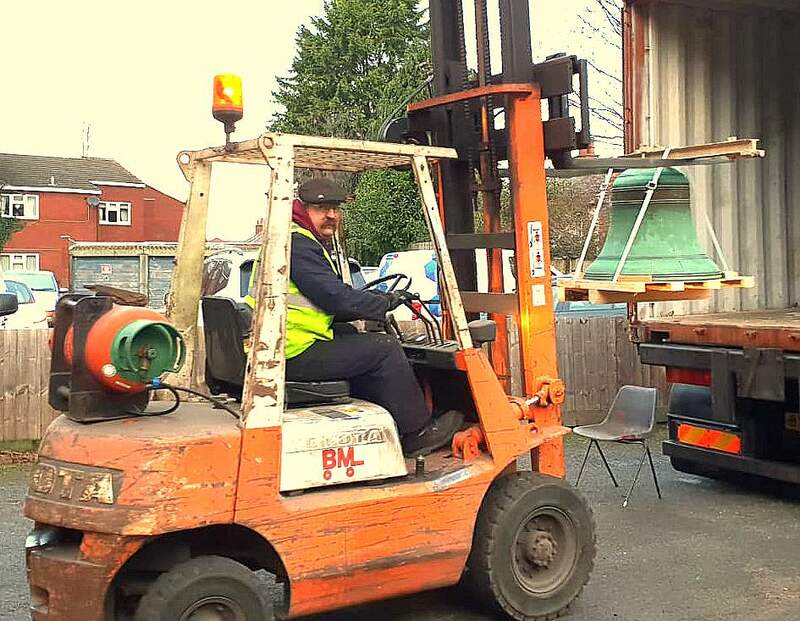 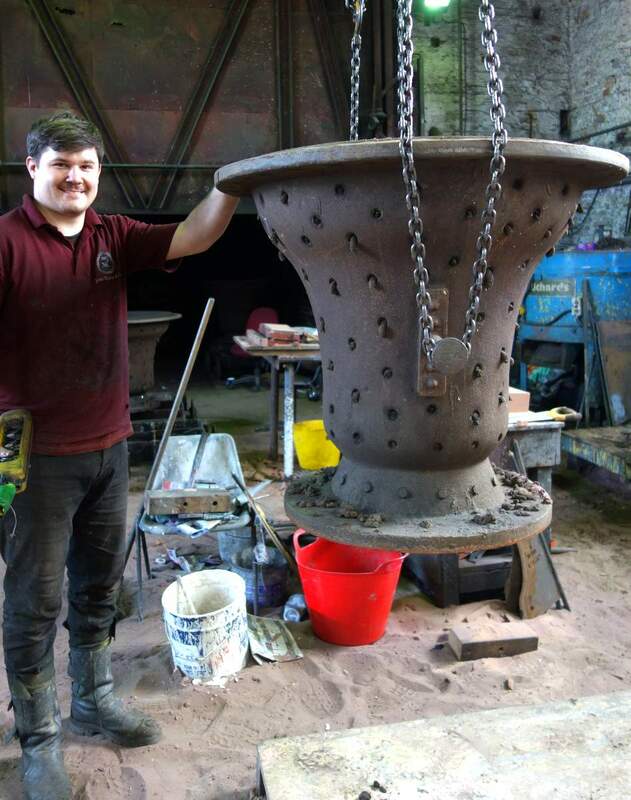 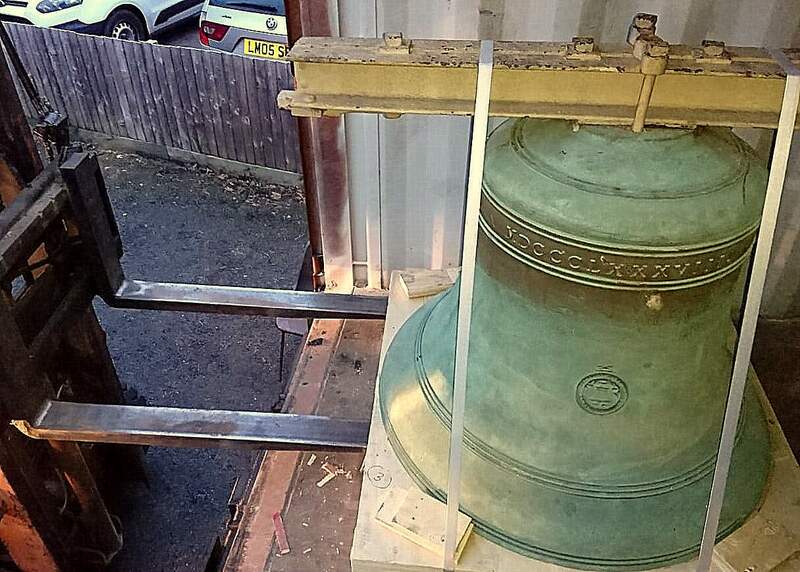 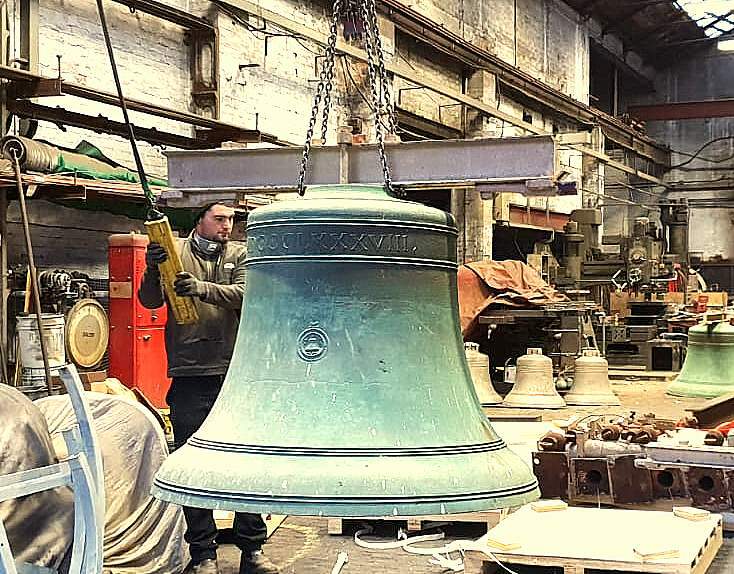 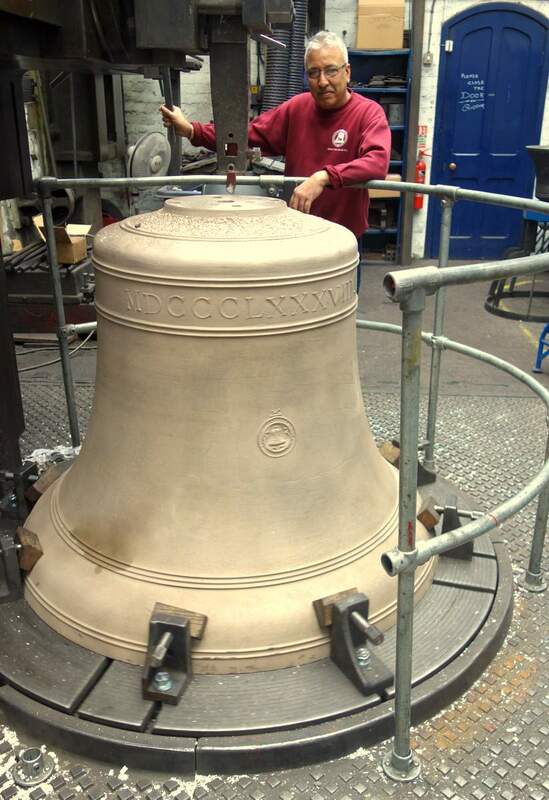 The bells will be removed during November 2018 and be shipped to Loughborough. 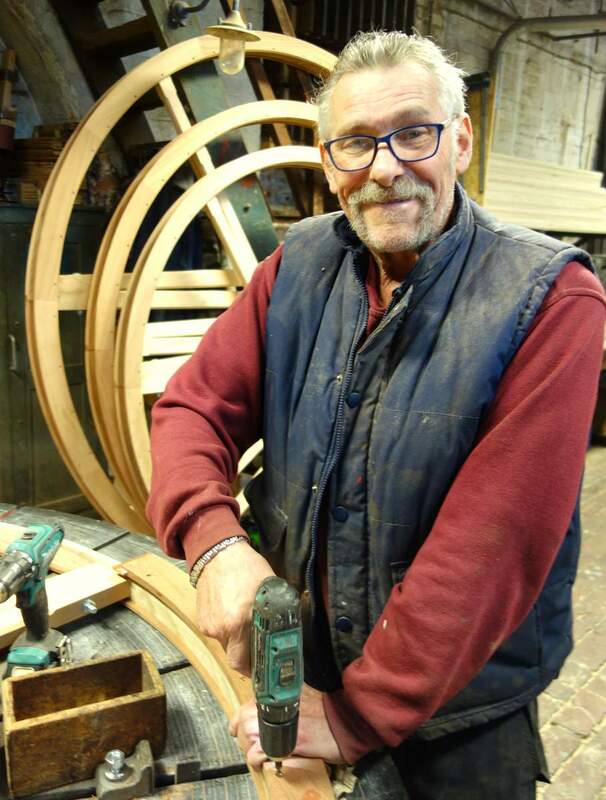 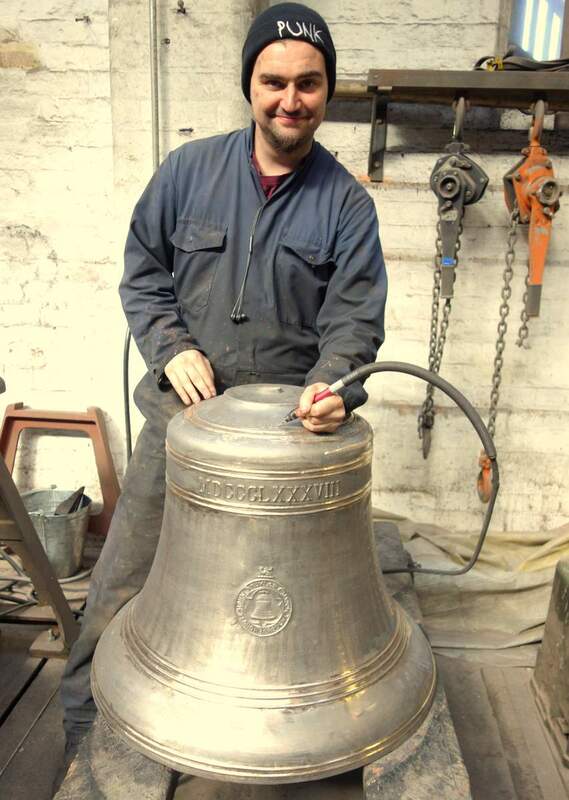 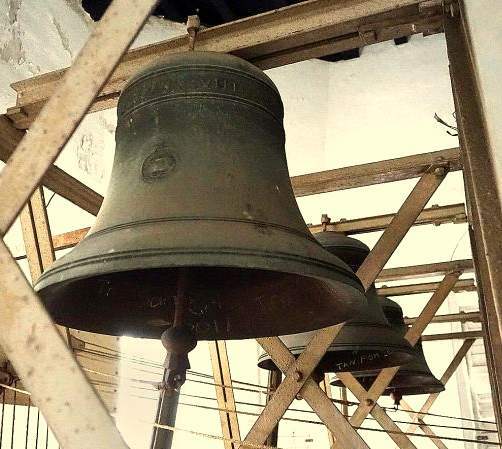 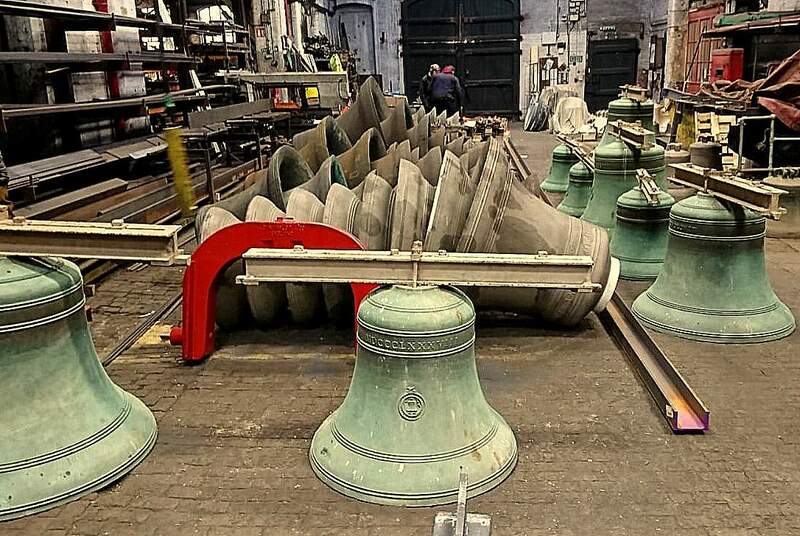 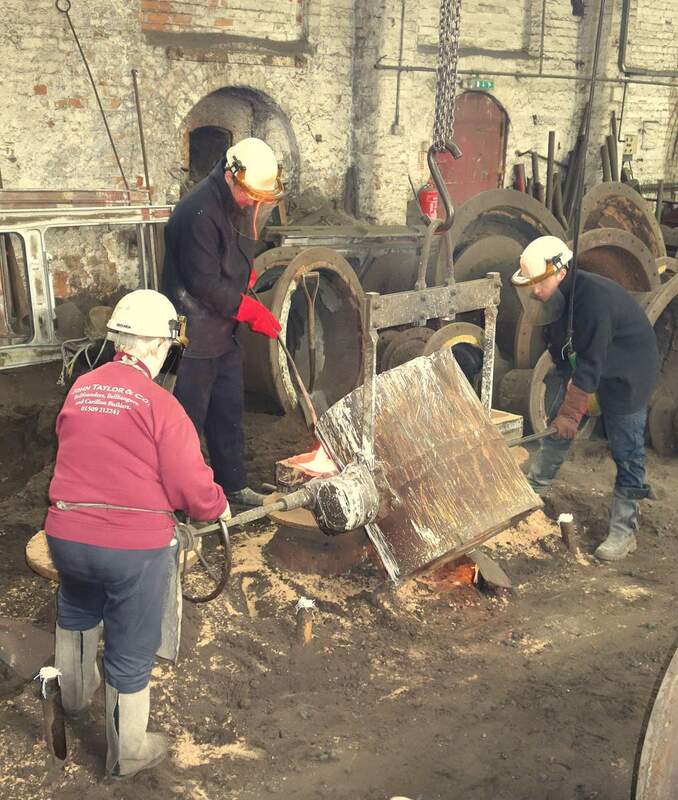 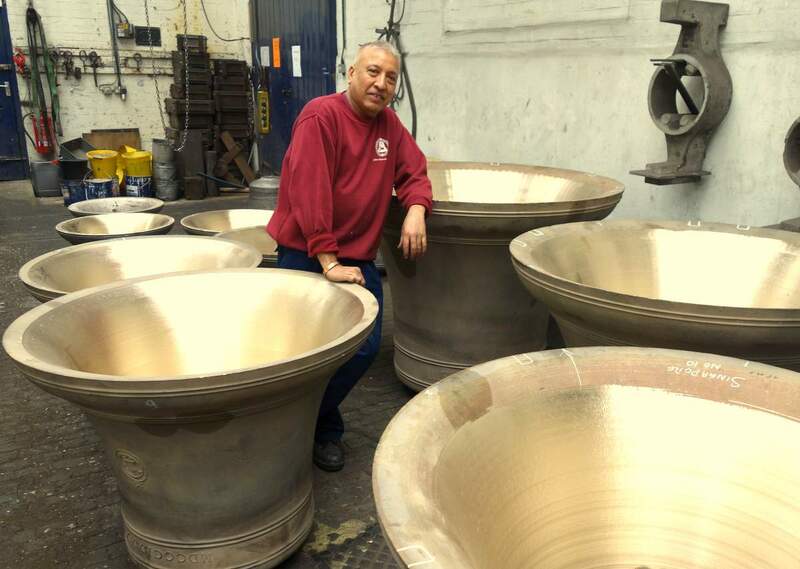 The largest six bells will be retained and reused after cleaning and re-tuning as the tenors of a new ring of twelve bells with new bells being cast to match. 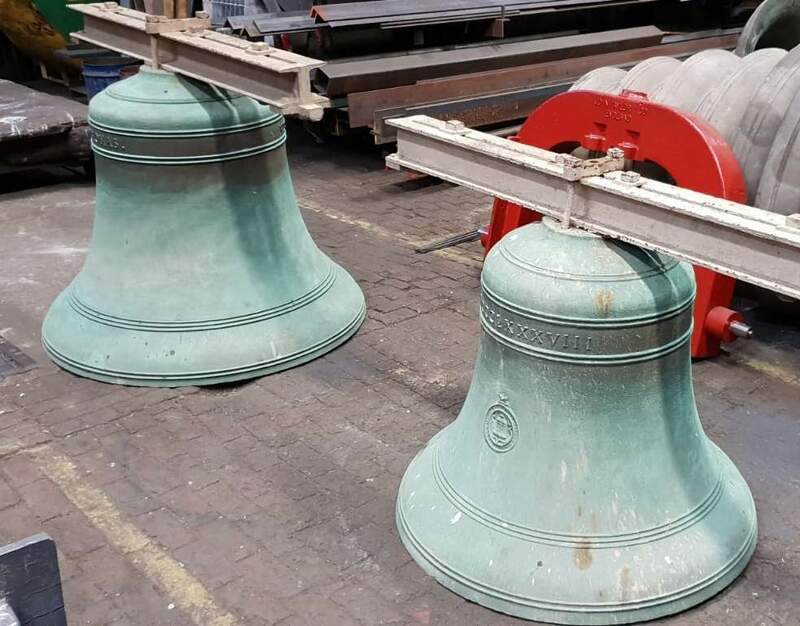 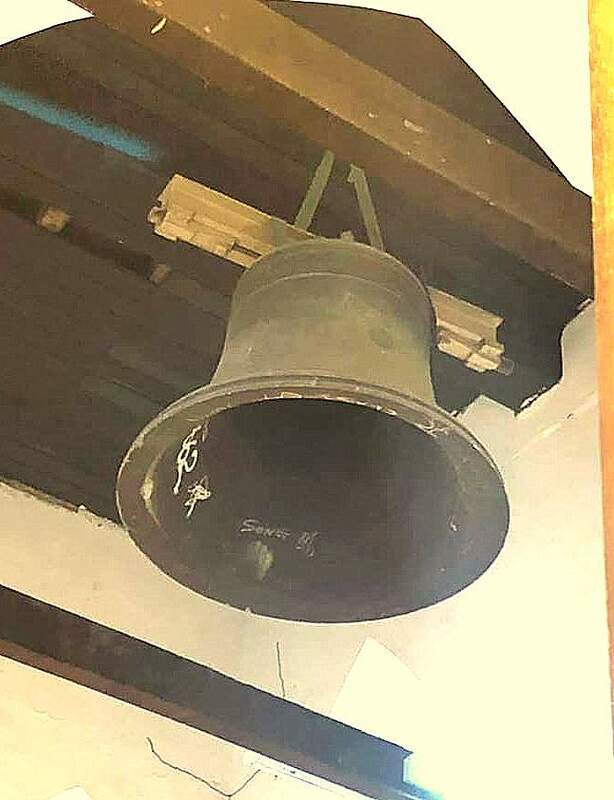 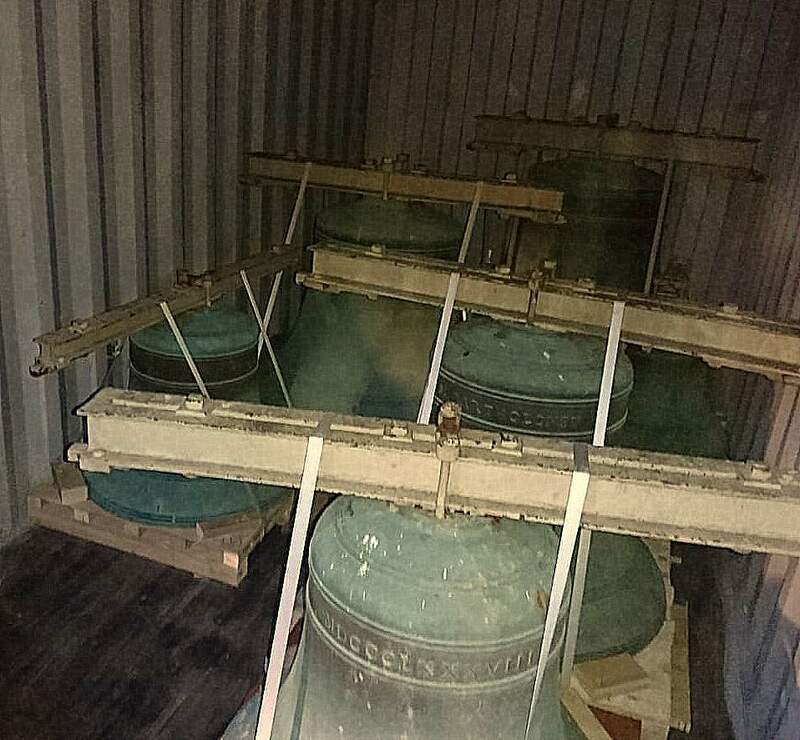 The bells will be hung with all new ringing fittings in a new galvanised steel bell frame designed to accommodate 14 bells. 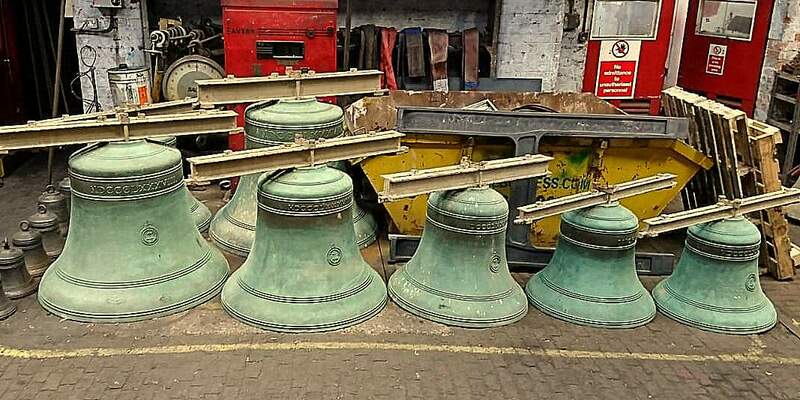 It is intended that light treble and flat 6th will be cast to provide a lighter octave and ring of ten bells. 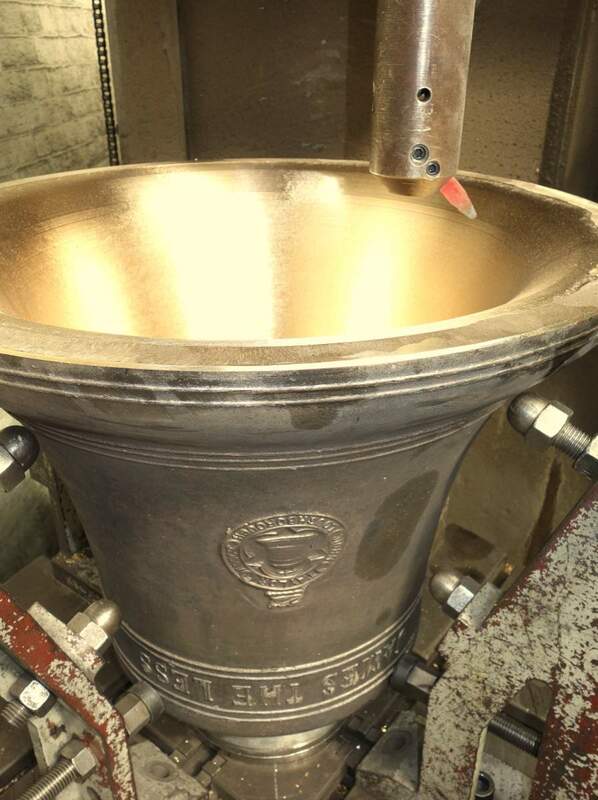 The flat 6th has now been ordered. 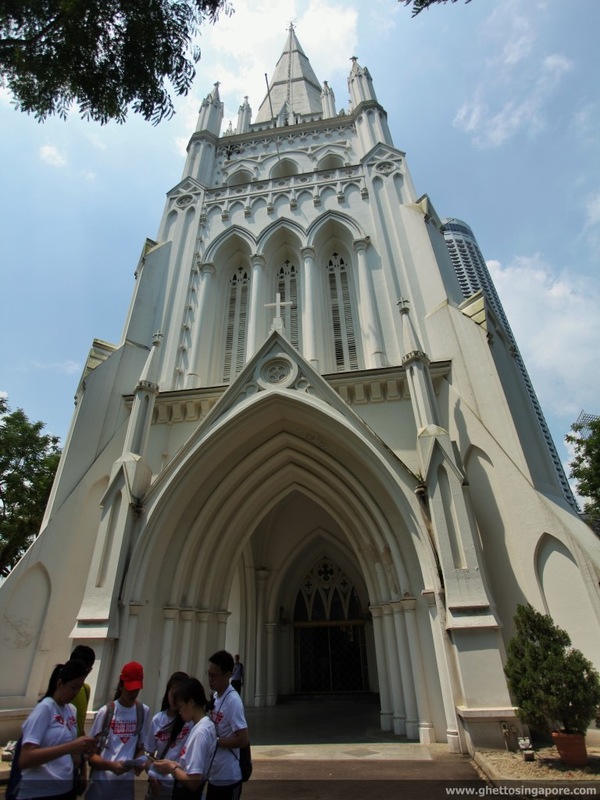 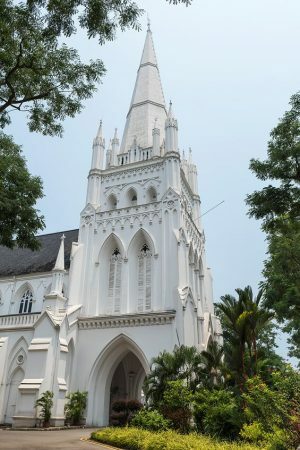 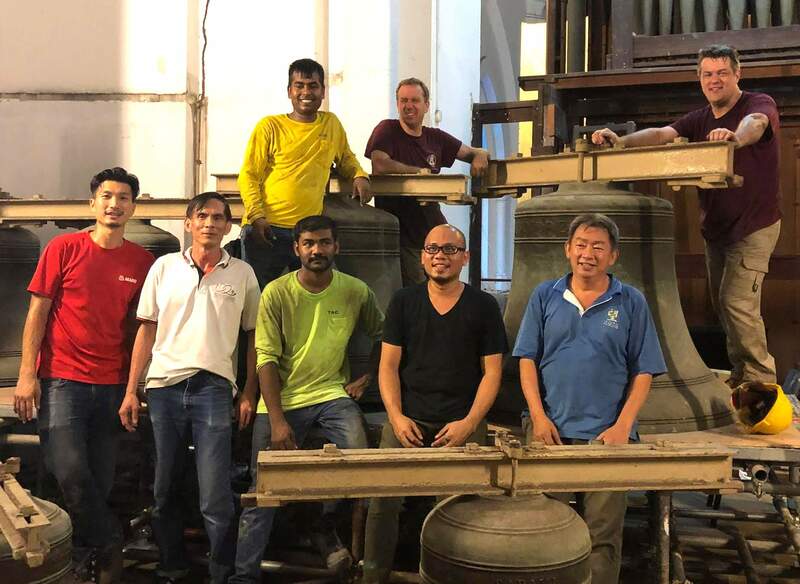 The bells in their original chiming frame in Singapore. 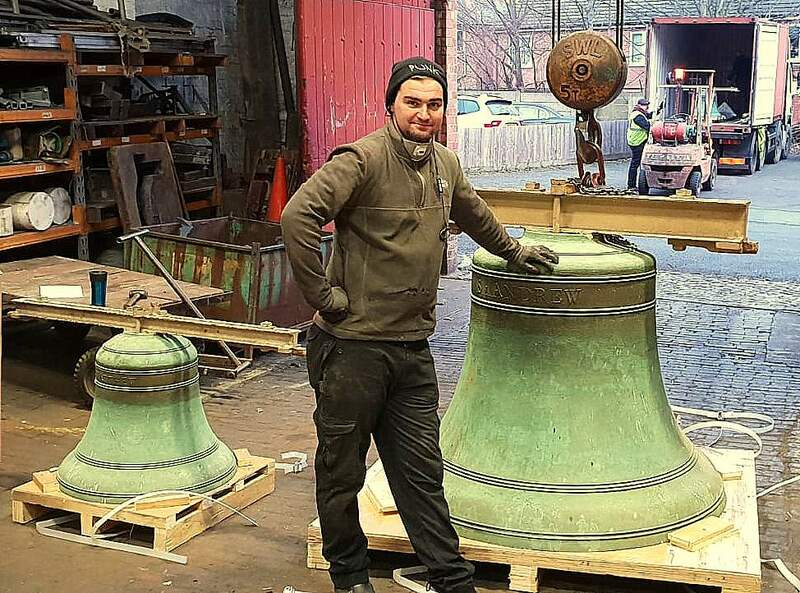 The local workforce who lowered the bells led by Taylor's Andrew Mills & Andrew Reynolds. 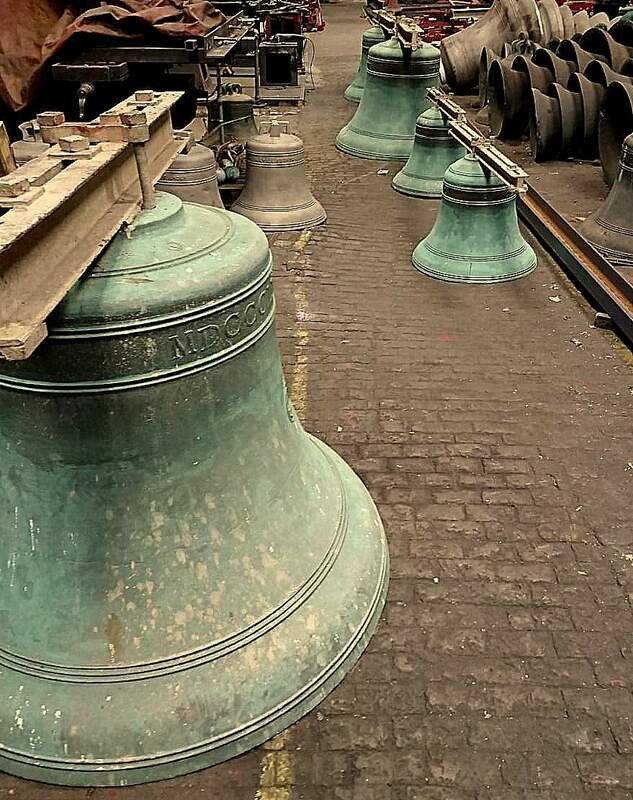 Unloading at Loughborough - the bells are remarkably clean after 130 years! 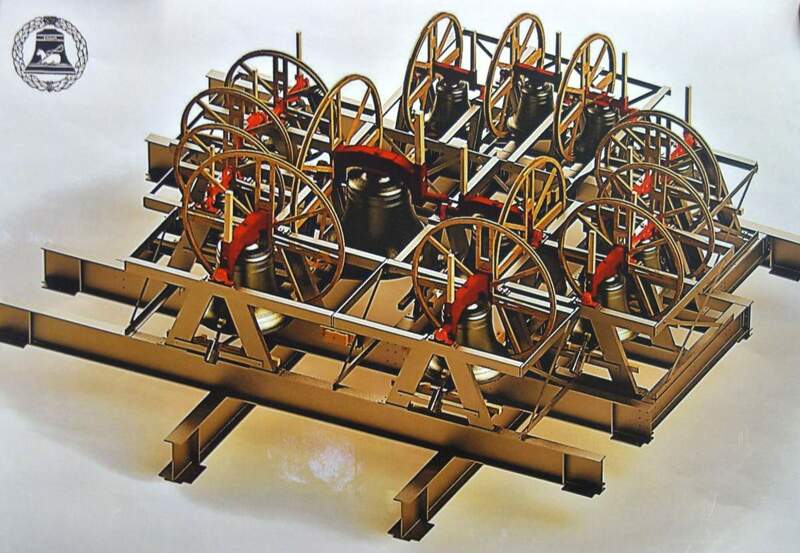 The proposed new bell frame layout - drawn on C.A.D. 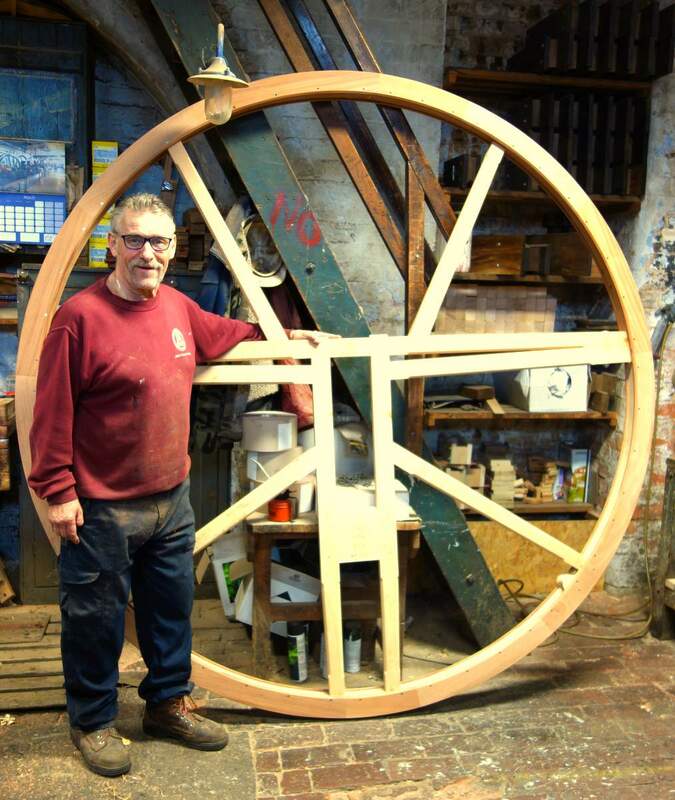 Ross makes a start on the new wheels. 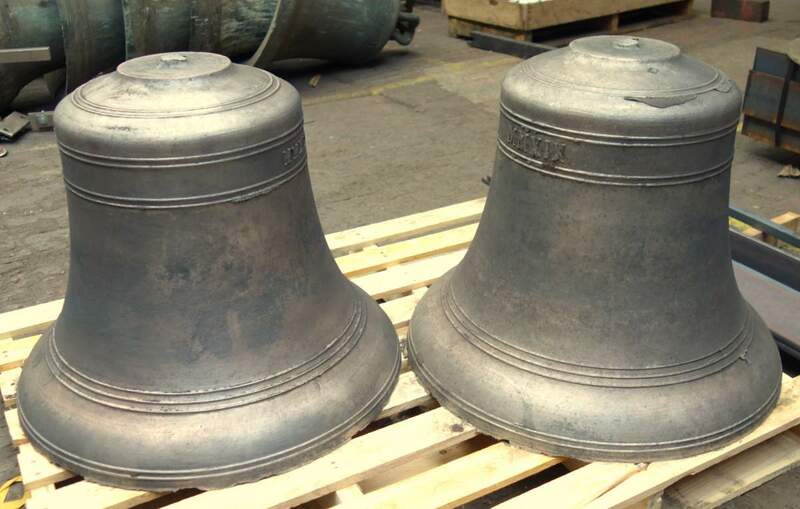 Two newly cast bells before fettling. 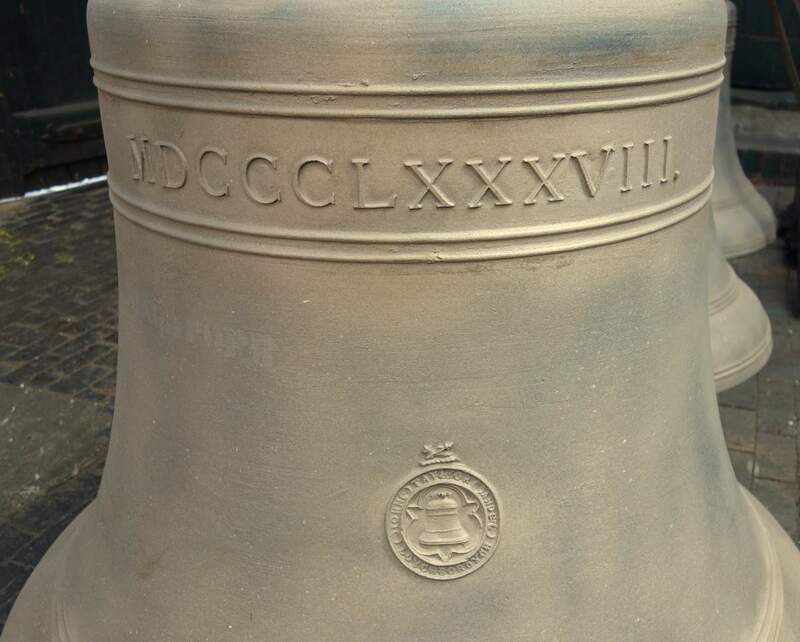 The top of each bell must be perfectly flat. 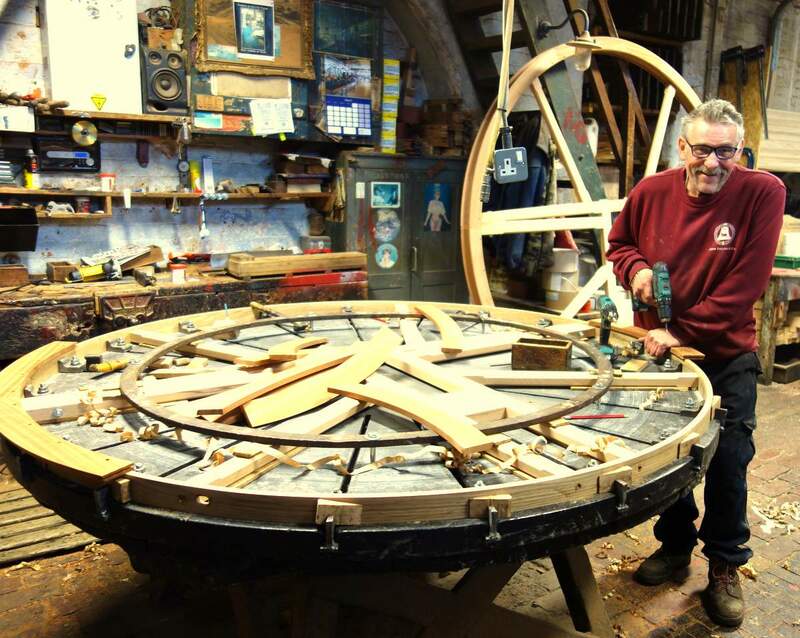 Mick with Singapore's new tenor wheel. 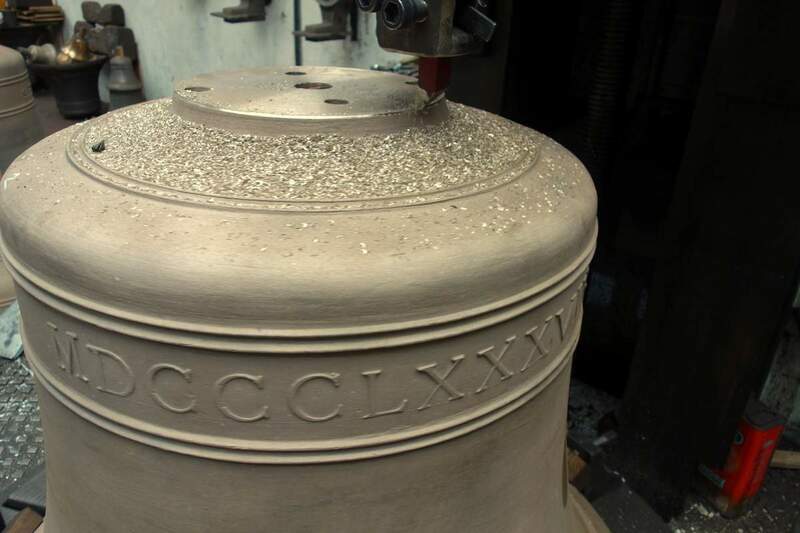 The 11th Bell on the tuning lathe. 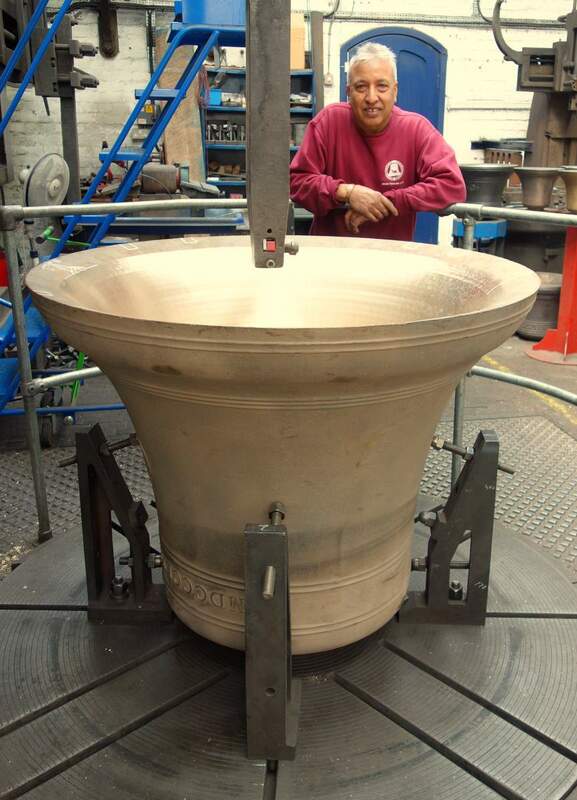 Breaking up the old trebles before recasting. 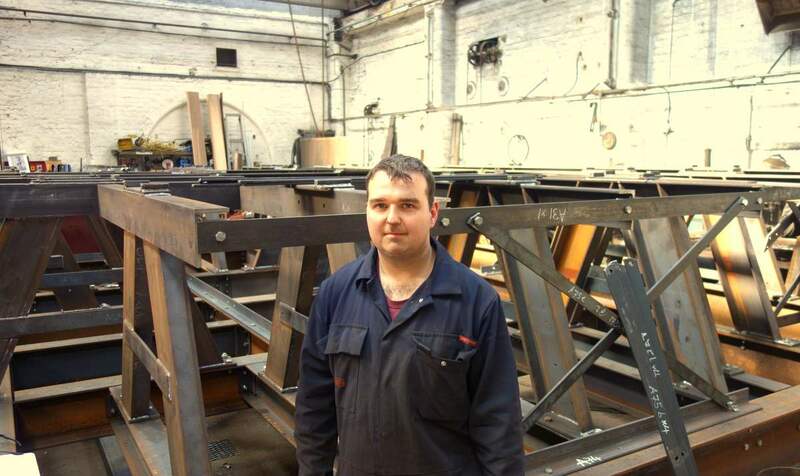 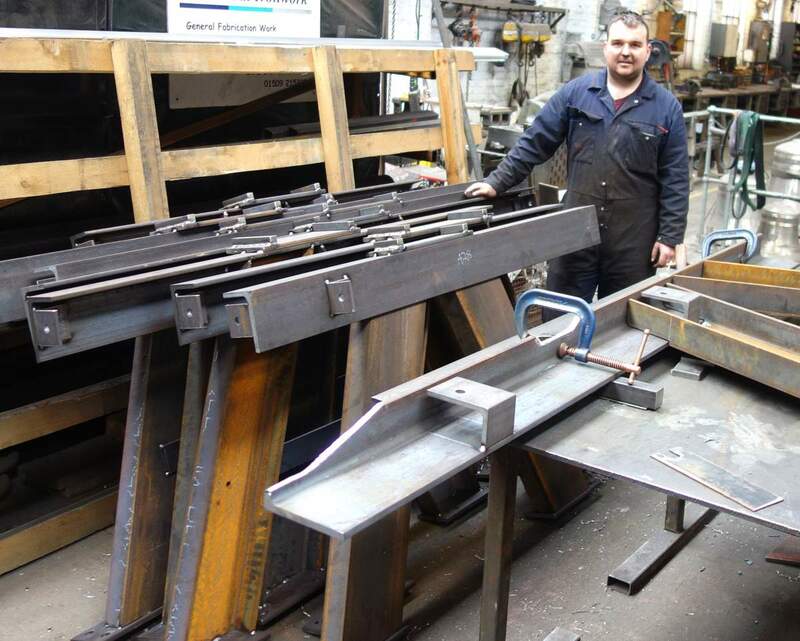 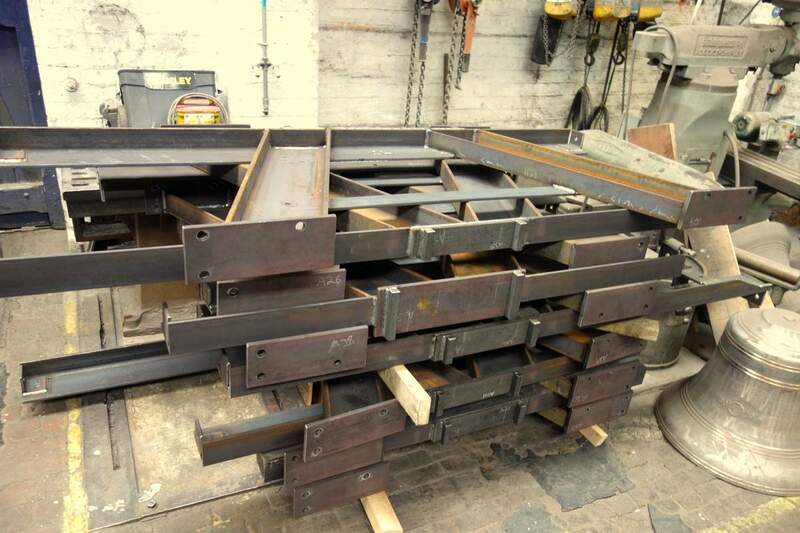 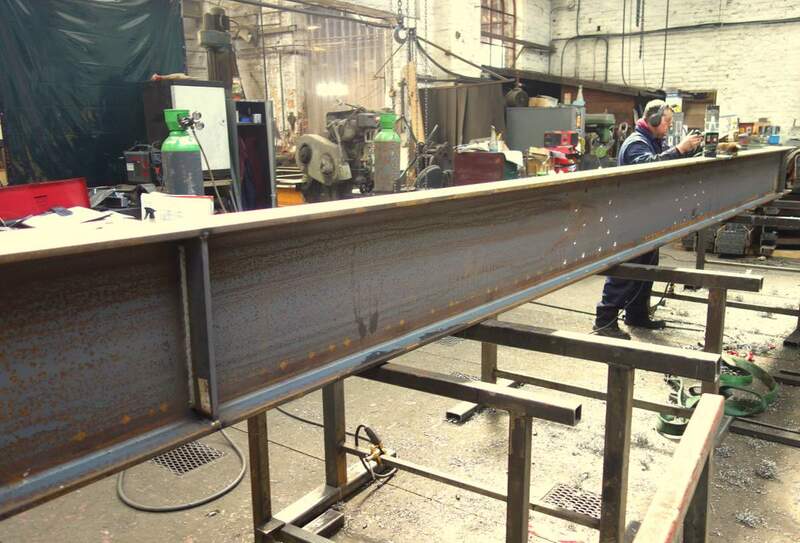 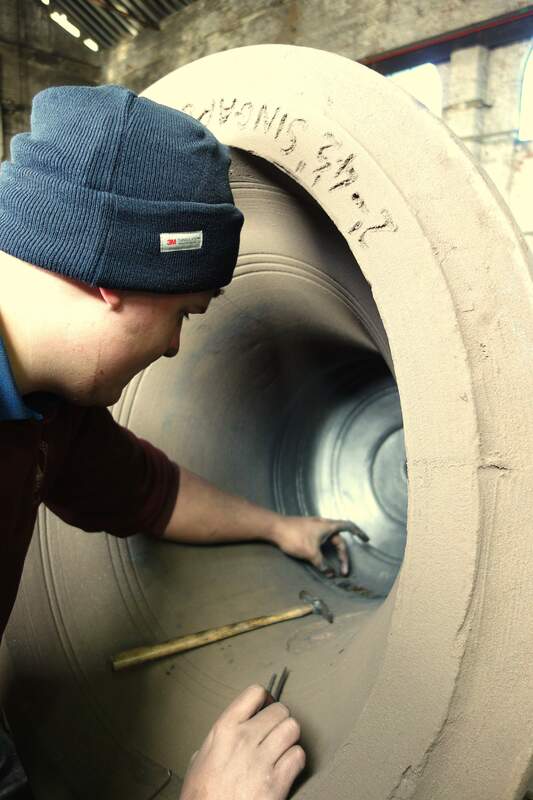 One of the massive base girders being prepared by Anthony. 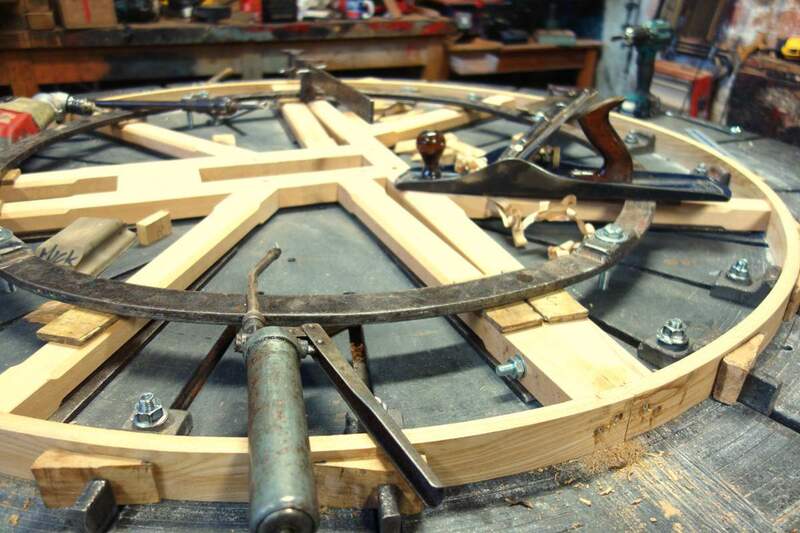 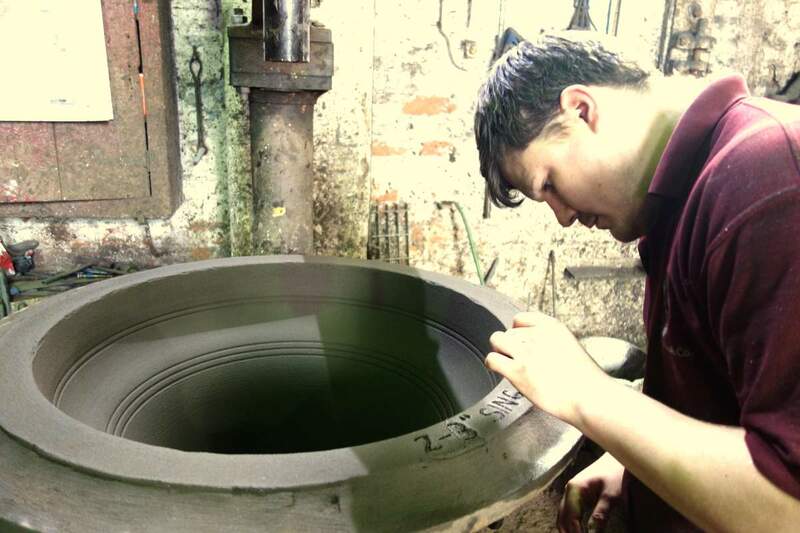 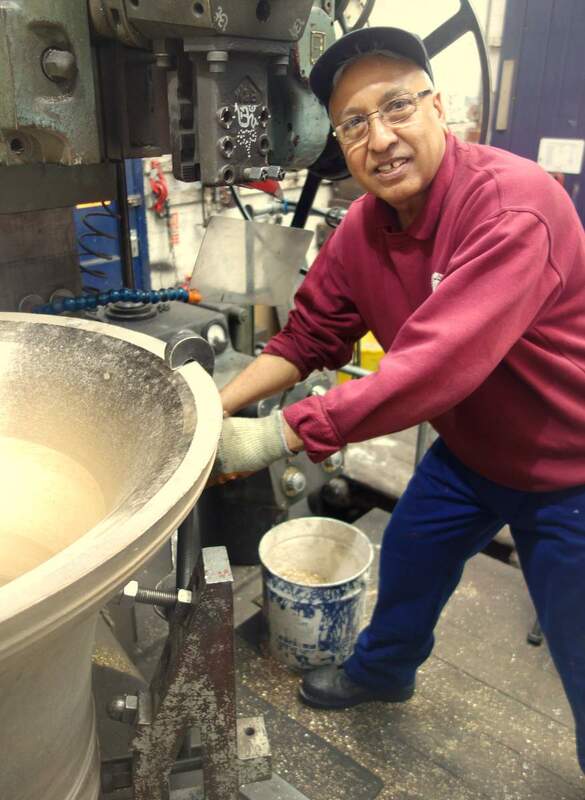 The bell wheels are being manufactured. 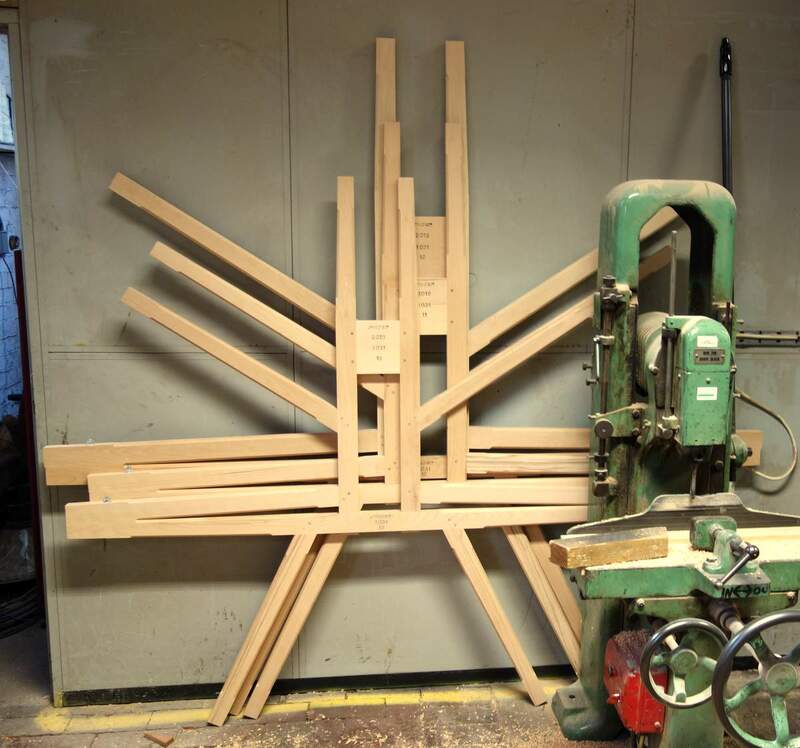 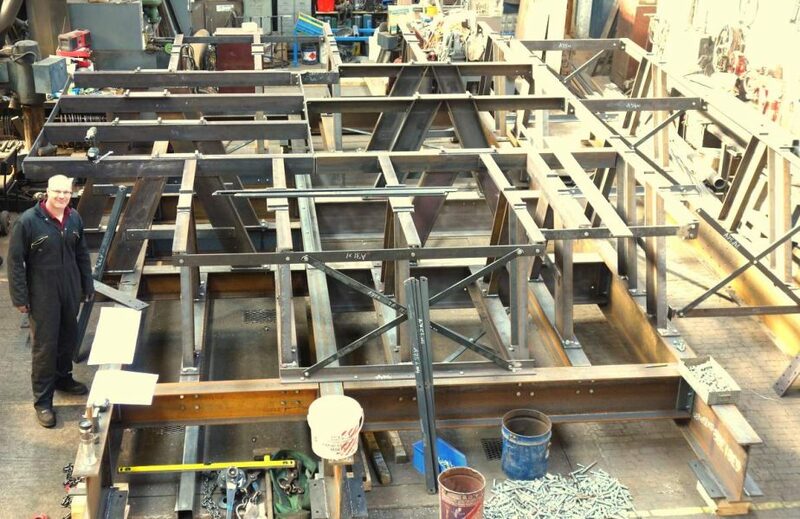 The design of the new bell frame has been completed and construction is underway - this is a massive frame and we've had to clear an area 8m squared for its construction. 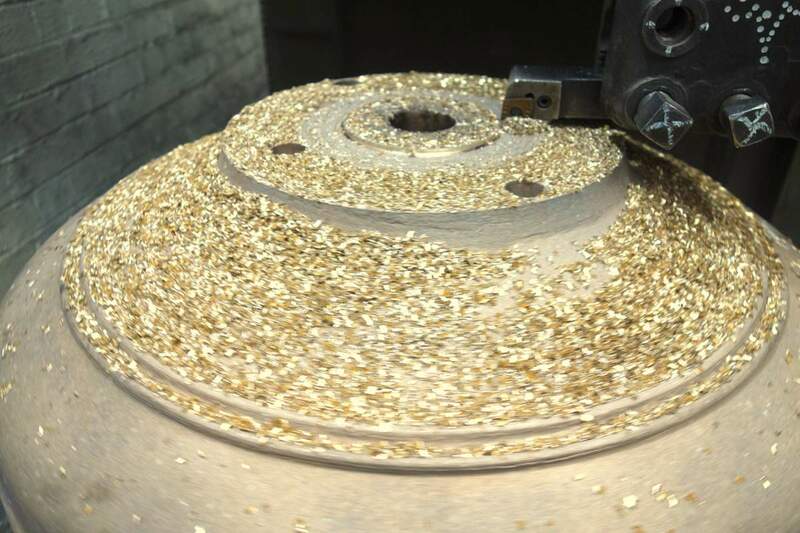 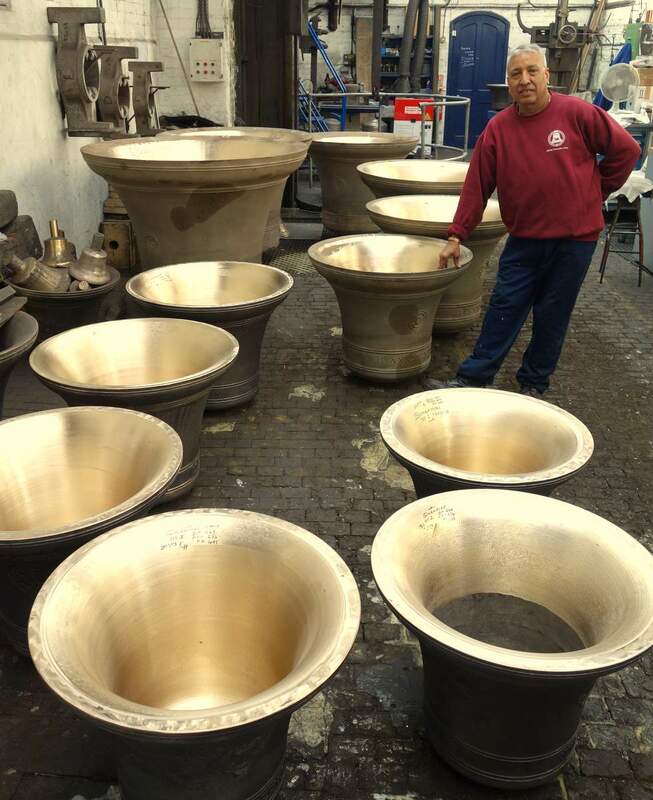 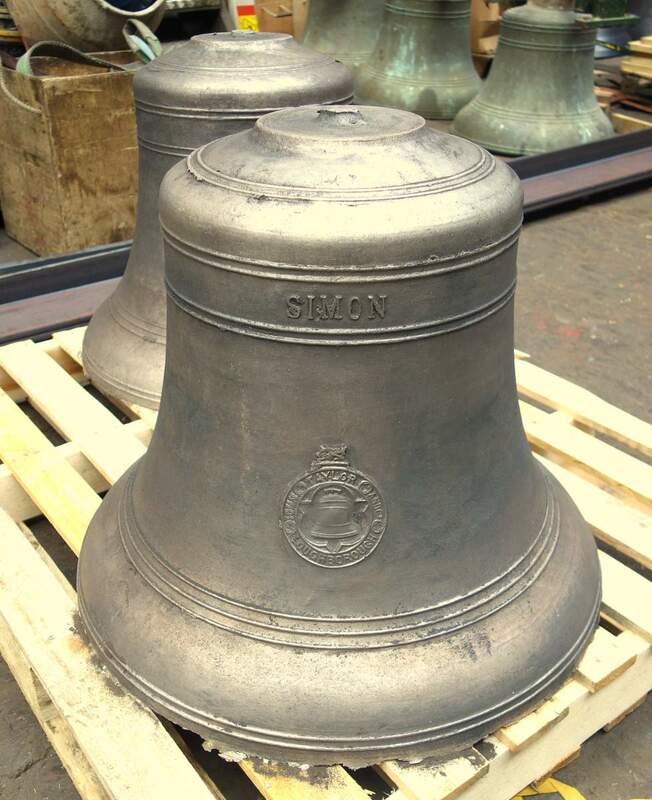 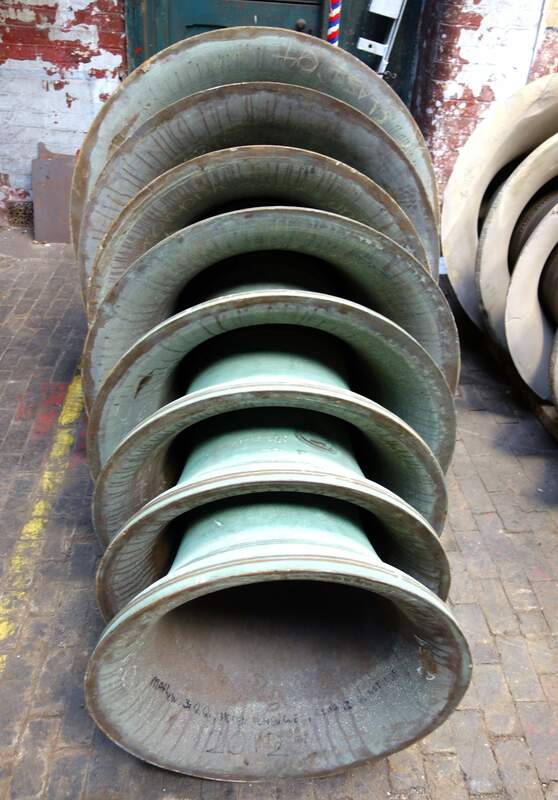 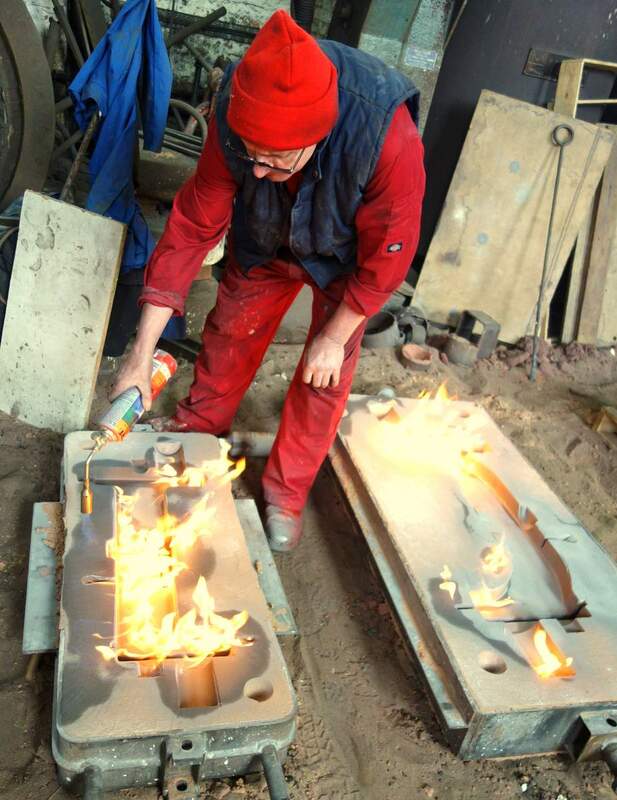 Seven of the new bells have been cast - the extra treble will follow at a later date once it has been ordered. 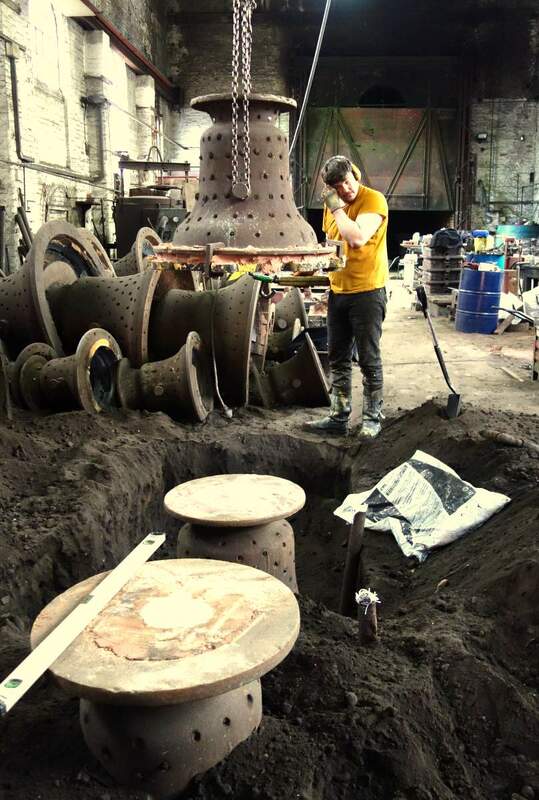 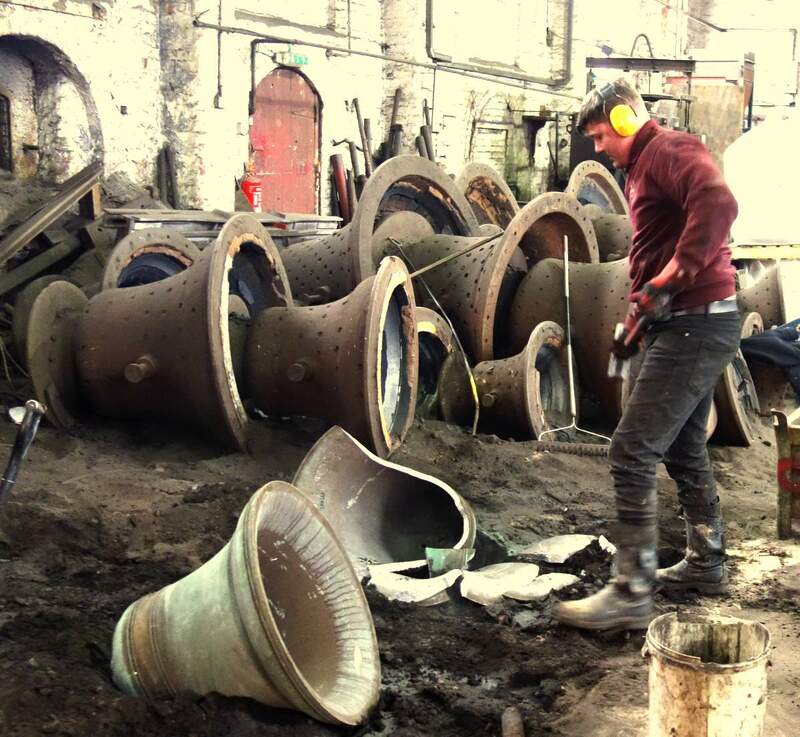 The 1888 bells have been cleaned by gentle sandblasting and the tuning of all the bells has been completed. 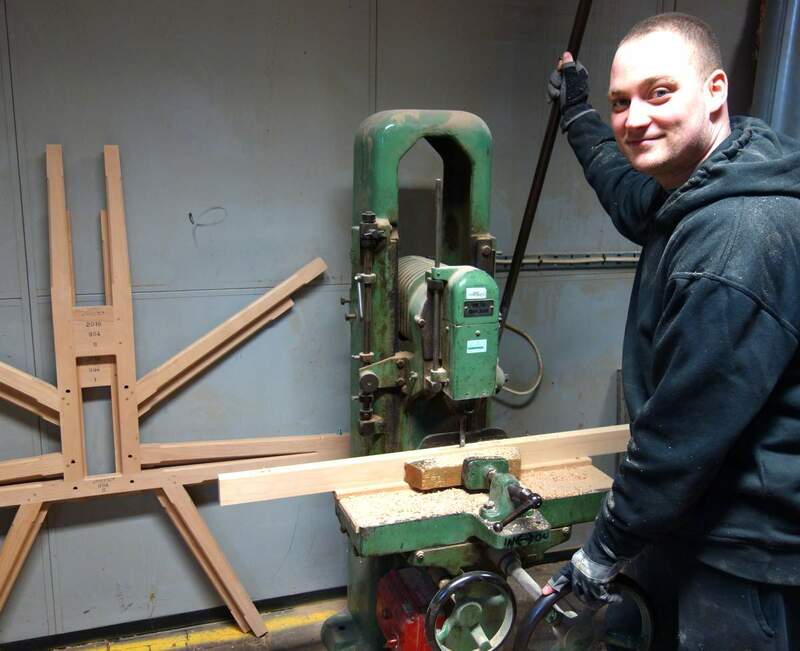 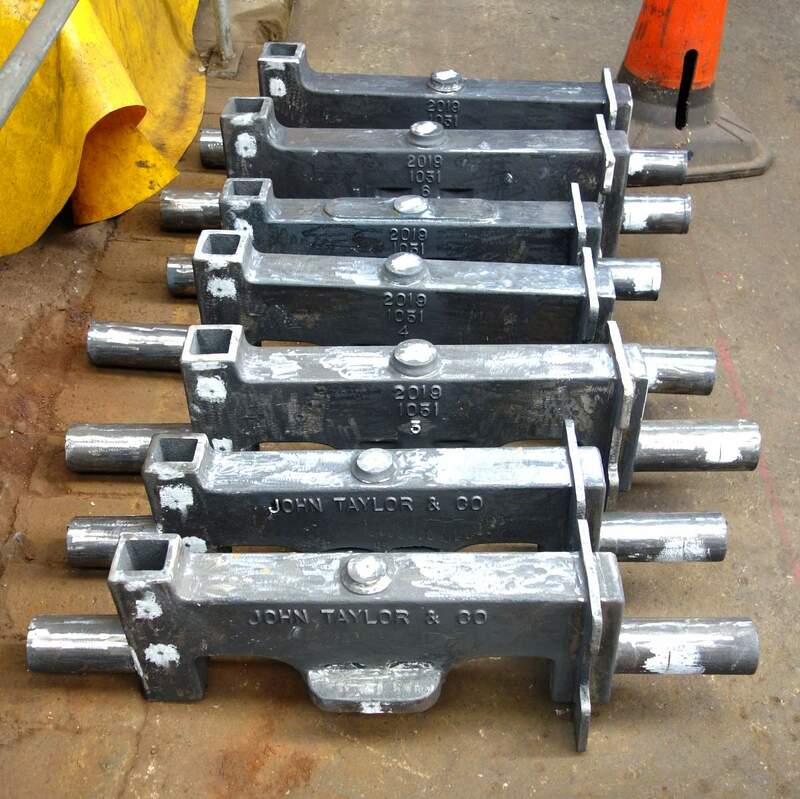 The new cast iron headstocks have been manufactured, and the construction of the new bell frame nears completion.